Children with the EYFS learn by playing and exploring, being active and through creative and critical thinking which takes place both indoors and outside. 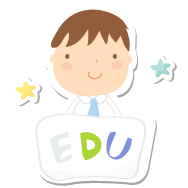 The EYFS Framework exists to support all professionals working within Early Years to help your child, and was developed with a number of early year’s experts and parents. In 2014 the framework was revised to make it clearer and easier to use, with more focus on the things that matter most. 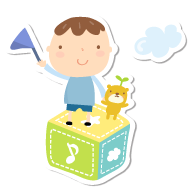 This new framework also has a greater emphasis on your role in helping your child develop. Early learning is the key to your child’s future and families make the greatest difference at this stage. 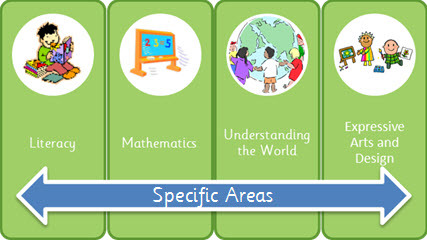 The EYFS consists of 7 areas of learning and development. 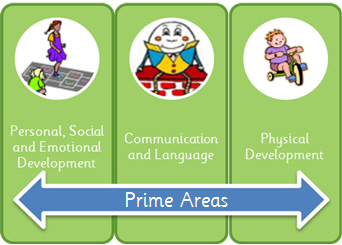 Children should mostly develop the 3 prime areas first. Our keyworkers write detailed observation reports (supported with photographs/children’s artwork) on varied activities and outings, referencing the observation with that particular area of development within the EYFS. Through ongoing observations, we can determine what the children are able to do at their level of development and what steps to take next in their development. Being aware of what interests our children, we are able to plan activities accordingly. Each child develops at their own pace and we support each child individually.